The life and times of Frank Loessor from "Guys & Dolls" to "How to Succeed in Business Without Really Trying"
OUT: "…for A Night on the Town". While "Cinco de Mayo" officially honors the Mexican Army's unlikely victory over French forces at the Battle of Puebla on May 5, 1862, in American and elsewhere around the world the date has become associated with the celebration of Mexican culture, cuisine, and of course, music. This week on Wind & Rhythm we highlight the rich rhythms, the Banda beats, and the Mariachi magic as we dance and dine with music from Mexico. The mission of Wind & Rhythm is to build a community of individuals who love wind bands; to grow a wider audience for the music bands play; and to provide a venue for band members and directors to speak about their art. To accomplish our mission we produce both on-air and on-line programming that invites listeners to reconnect with their roots as members of bands; encourages listeners to participate in community music-making; and provides for listeners an opportunity to hear the best bands in the world. This limited series of classical music will feature four composers of African descent and two musicians of African descent. On this program today we will explore the music of Samuel Coleridge-Taylor, William Grant Still, Andre Watts, David Baker, William Levi Dawson and others. André Watts is a classical pianist and professor at the Jacobs School of Music of Indiana University. Chevalier Meude-Monpas was a French composer and a black Musketeer. William Grant Still was an African-American classical composer who wrote more than 150 compositions. William Levi Dawson was an African-American composer, choir director and professor. Samuel Coleridge-Taylor was an Afro-English composer who achieved such success that he was once called the "African Mahler". Michael Abels is a Los Angeles based African-American composer. 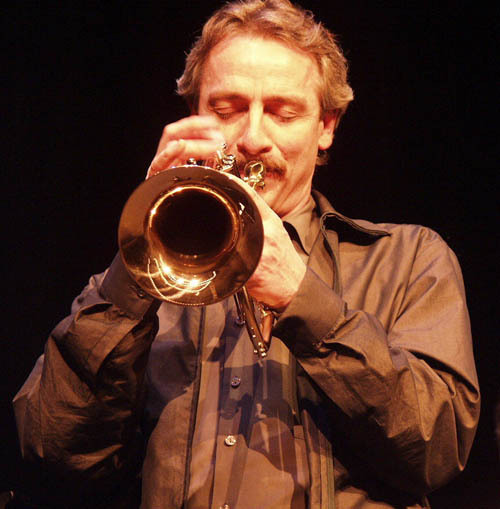 The Chicago Sinfonietta was founded by Maestro Paul Freeman in 1987 in response to the lack of opportunity for minority classical musicians, composers, and soloists. 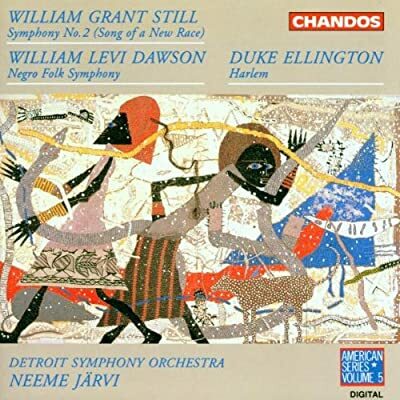 Classical Composers and Musicians of African Descent Vol. I is a one hour program divided into three sets leaving room for PSAs, the news, announcements, station IDs etc. 'New Electric Music For The Twenty-First Century' Program 1 is a two hour audio event that is designed for audiences to hear the contributions of artists such as Deerhoof, Jucifer, The Flying Lizards, Bjork and many others. The new music of this century deserves to be heard and this show explores the singular creative efforts of the various approaches to this popular music. Also included are influential artists whose productions in the twentieth century helped to create the frame of reference for these newer productions. This is a program that highlights evolutionary history and audiences will be able to hear cultural change as electric music. A "cheeky" blend of Christmas and Holiday music for your goings-on this season. Gini Mascorro brings you new and reworked favorites; discoveries and remebered tunes...and, some from indie artists from the Dallas Ft. Worth area. Produced at KKXT- "KXT 91.7" in Dallas. The third edition of the Great Northern Radio Show has us at the John Chalberg Theater in Brainerd. 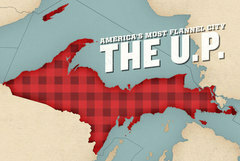 Titled "Maybe About Trains," this radio variety show is written and hosted by northern Minnesota writer Aaron Brown. The show features music from The Bitter Spills, Eric Pollard as "Actual Wolf," Sonny Johnson, Katie Wig, and more. Celebrating the life and music of Erich Kunzel with a two-hour special. Naomi Lewin hosts The Spectacular Legacy of Erich Kunzel, remembering the man who founded the Cincinnati Pops, saw the group through dozens of recordings, and left behind a legacy of musical entertainment and showmanship that will never be duplicated. The program includes favorite selections from the Pops interspersed with reminiscences from some of Maestro Kunzel’s favorite collaborators including Doc Sevrinsen, Dave Brubeck, Michael Feinstein, and Frederica von Stade, as well as members of the Cincinnati Pops Orchestra. Maestro Kunzel, who lost his battle with cancer September 1, 2009, especially wanted the music of the Cincinnati Pops to continue after his death, so this special is made available to public radio stations to help fulfill that wish. 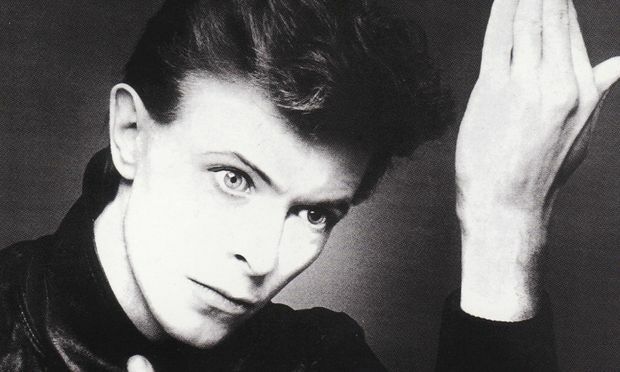 A tribute to David Bowie featuring music from Steve Nieve, Ozark Henry, Seu Jorge, Nile Rodgers, Chris Hadfield (from Space Station), Neil Young, Lord Huron, The Districts, Ricky Gervais, Andrea Bocelli, Heartless Bastards, Flight of The Concords, The Claudettes and David Bowie. 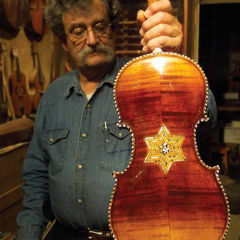 Master violin maker Amnon Weinstein has spent the past two decades finding and restoring violins that survived the Holocaust. In April, 2012, he brought 18 of his instruments to Charlotte, NC, for exhibition - and performance. (1:17:24 - 1:18:50) Poem: "Theresien"
We’ll hear interpretations from Rachel Barton Pine and Joshua Bell playing the same Bruch Violin Concerto on this episode of What’s New. I love it when there are several new releases of the same work – you not only get to listen to new performances but compare them to other bench marks. The violin and viola once owned by Mozart himself speak through the composer's music during the Boston Early Music Festival, thanks to the Salzburg Mozarteum. Mozart never made it to America: getting seasick crossing the English Channel put an end to any of his seafaring fantasies. But America was frequently on Mozart's mind. In fact, his closest collaborator, librettist Lorenzo Da Ponte, actually immigrated to these shores and became the first professor of Italian at Columbia University in New York. Mozart's music has made it here, of course – it's woven into the lives of practically everyone. And that's a big part of why there were so many goosebumps when an excited audience in Boston was suddenly in the presence of two of the instruments that Mozart had placed firmly under his chin, in private and in concert, uncountable times. Only a few days earlier, an Austrian had made his way through security with a violin case and boarded a plane in Salzburg. Another Austrian boarded a different plane with a viola case. And that marked the first time that two priceless possessions of Mozart had gone transatlantic. What a thrill that they were headed for the room up the hall from us at Classical New England. The Salzburg Mozarteum Foundation was reaching out to the wider world, and the two instruments were never, ever out of the sight of at least one member of the entourage who came along for events presented by the Boston Early Music Festival. An offering for Thanksgiving Day or week of. Fred Migliore the host and creator of this 19 year old weekly program puts together several music recipes for your listeners! In addition to an exclusive version of 'Alice's Restaurant' sung by Arlo Guthrie, Fred welcomes Graham Nash and Glen Campbell for music and stories. The program also features songs about the season from The Strawbs, Elton John. The Band, Simon & Garfunkel and many more.